In 1891, Salvation Army Captain Joseph McFee began collecting money because so many poor individuals in San Francisco were going hungry. During the holiday season, he resolved to provide a free Christmas dinner for the destitute and poverty-stricken. He only had one major hurdle to overcome — funding the project. Today the Salvation Army is providing a holiday meal for over 4 million people and this year The Arc of Volusia is helping that cause by volunteering 1 day a week throughout the 2016 Salvation Army’s Red Kettle Campaign. You can support the program participants at the Daytona Walmart from 9 a.m. to 12:30 p.m. each Thursday and at the DeLand Walmart from 9 a.m. to 12:00 p.m. each Friday through December 22nd. Please stop by and support The Arc of Volusia as we give back to the community. Arc participation in the 2016 DeLand Christmas Parade!! The Arc of Volusia would like to thank all of our sponsors and participants for a successful Buddy Walk 2016!!! Daytona Beach, FL– The Arc of Volusia, Inc. is pleased to announce Audra Burd as their new Executive Director. She begins on Monday, September 19. “We are excited for this leadership team to be in place for The Arc,” said Melody Lankford, The Arc’s Board Chair. “We are confident that Audra will be a great fit for our organization and will help us to continue to provide innovative and quality services and support to individuals with intellectual and developmental disabilities and their families,” she added. Audra obtained her BA in Political Science from the University of Pittsburgh. She is originally from Pennsylvania and has devoted her career to advocating and supporting children and adults with intellectual and developmental disabilities. In 2012, she became the Executive Director of The Arc of Fayette County in Uniontown, PA up until her family’s recent move to Florida in 2016. 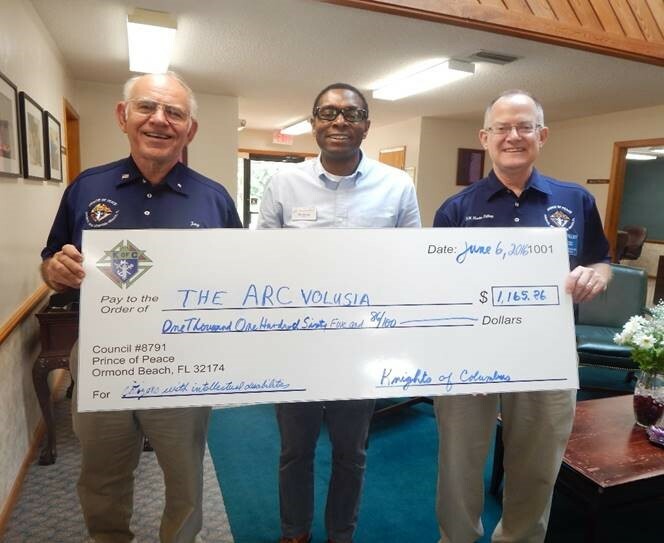 The Arc of Volusia, Inc. is a nonprofit organization founded in 1962 by parents who were concerned about their children with disabilities. The organization currently serves over 230 adults with intellectual and development disabilities- helping them develop life skills, increased independence, and the opportunity for them to earn a paycheck. The Arc’s community impact focuses in four areas – education, employment, health and basic needs. The Arc of Volusia has two campuses, one in Daytona and the other in DeLand. 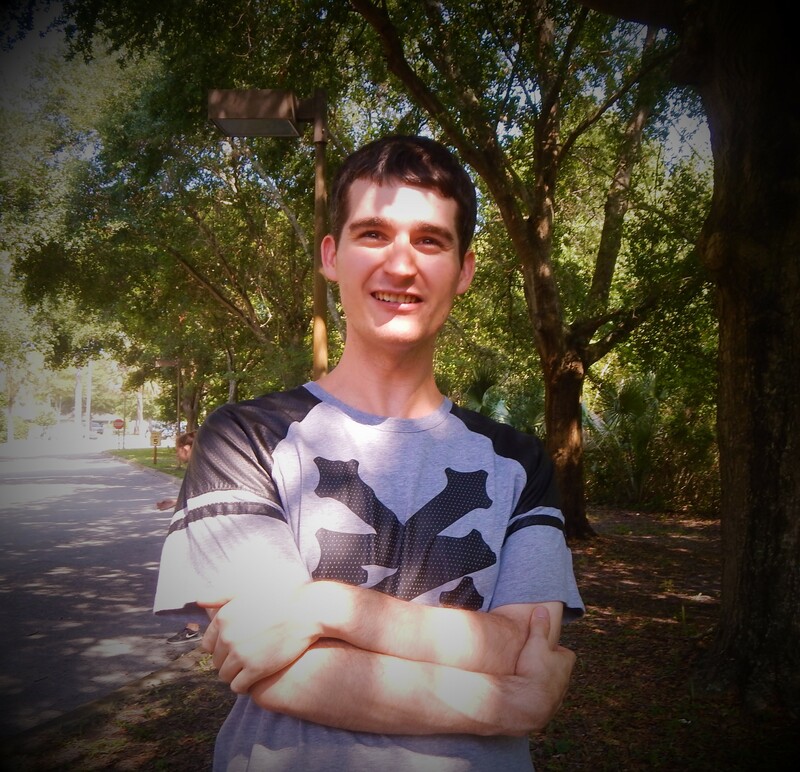 For those interested in becoming a volunteer, a sponsor, or an Arc member supporting The Arc of Volusia’s mission of “Providing the opportunity for hope, growth, and change to people with intellectual and developmental disabilities in our community”, the organization can be reached via phone at 386-274-4736, or online at www.arcvolusia.org, or https://www.facebook.com/TheArcVolusia. Our Chief Operating Officer, Brian Walton, recently participated in a local event called “Elevate Daytona.” Brian spoke on the topic of “Developing Opportunity for People with I/DD.” This is a short 6 minute video, and casts a solid direction for how we can create more opportunities for people with intellectual and developmental disabilities. We Appreciate the Knights of Columbus! Jay Young & Kevin Tilly of Council 8791 recently stopped by our offices to make a generous donation to our programs. These men, and the Knights of Columbus, have been faithful supporters of our organization for many years. We are so very grateful for friends like these! This week our nation will celebrate the 25th anniversary of the American’s With Disabilities Act. Special events are planned here in Volusia County (ADA Celebration Flyer), and I encourage you to attend. Unfortunately, most will miss these events, and will not give the significance of this legislation a moments thought. Consider tho, the struggles that so many around you face and how much more difficult their daily routine would be if they couldn’t access sidewalks, public restrooms, mass transit, or even fit through doorways. Their desire is to simply go where everyone else has gone before. Open your heart and mind to the dreams and desires of a marginalized portion of our population who desire to live full and meaningful lives – just like you. Words matter. Our CEO, David James, recently sat down with a group of our clients to seek their input about a number of issues. One of the topics that came up was how we should refer to our “clients” with disabilities. Many terms have been used by agencies in our field over the years, including: consumers, clients, customers, and so forth. After a few minutes, a young man named David said, “How about friends?” We liked that idea a LOT! It matches our culture as an agency. Our clients really are our friends – and we hope to be theirs. So whenever possible, we now refer to our clients as our friends – and that really is how we feel about them. Do you know the ONE THING you can do right now that would have the single greatest impact on our agency and the friends we serve? Please consider joining “The Arc Volusia Circle of Friends” today! on behalf of the people we serve at the State and National levels. This population is among the most marginalized and disenfranchised, but there are frighteningly few people speaking up for them. When you become a member, you are joining your voice with 140,000 others, making us stronger, and making sure that David’s voice is heard! Join our circle of Friends online today.